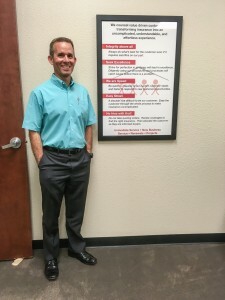 Let me introduce you to Jeremy Roberts, owner of JC Roberts Insurance Agency in Keller, TX. 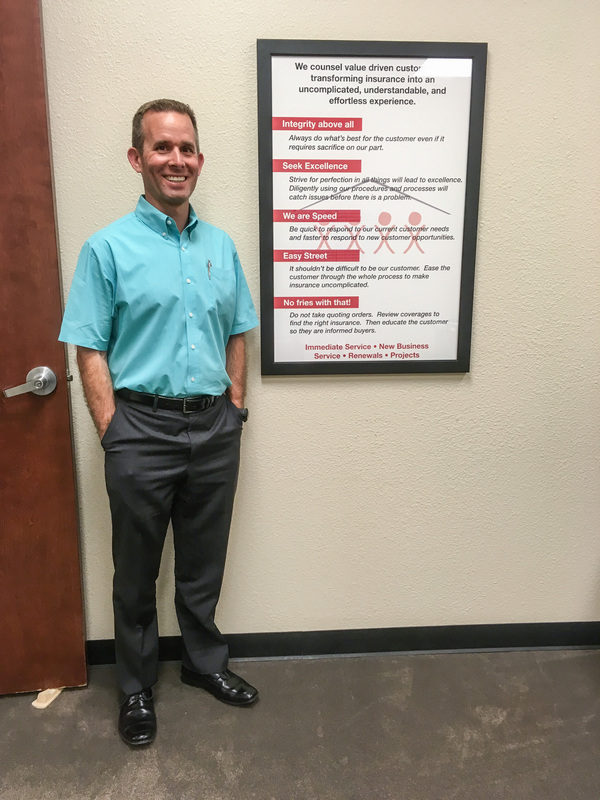 He has been working in an XM Performance Leadership Forum for the past 12 months with seven other business owners. Step 1 in creating performance acceleration, as we frequently discuss, is to eliminate Phantom Clarity by putting the BIG WHY, company VALUES and VISION in writing. The clarity created allows the business owner to focus, delegate more effectively, hire the right people and work on the most important things first. Not only did Jeremy put it in writing, he framed it and put it on the wall in his office. In 12 months he has completely transformed his thinking as a business owner, built a strong foundation of clarity for his team, and is beginning to experience rapid acceleration. Congratulations JC Roberts Insurance, the phantom has been busted. Business owners, a new Leadership Forum will be launching in May. Are you ready to invest in breakthrough acceleration? Download a two page outline that explains how our unique process will unlock your Xtra Mile Potential.